I love my new book, Plants of the East Mojave, by Adrienne Knute. Some day I'll be an expert at identifying native plants of the Mojave, but until then please feel free to call "bullsh*t" on any of my IDs that you disagree with. I do expect extra credit, though, for stumbling forward in my efforts. I never thought I'd find the ID for this one - above, especially since it is a scarce 1/2 inch in diameter. And honestly, I did think it might be a buckwheat due to the compact ring of rounded leaves underneath it. 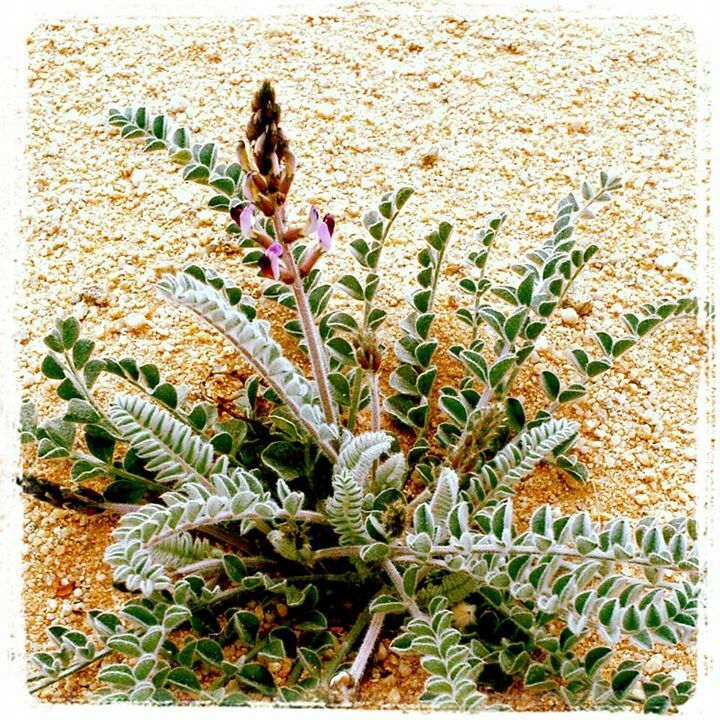 Plants of the East Mojave calls it chorizanthe rigida, the perfect name for "rigid spiny-herb" or a Italian stripper turned politician ." It is in the polygonaceae (buckwheat) family. It grows under very harsh, hot conditions," which should tell you something about our property. 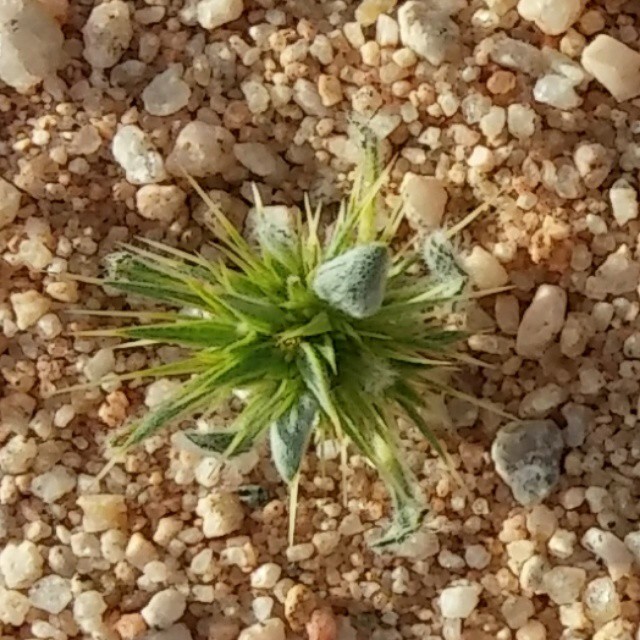 It also grows among the black lava rocks near the Kelso Dunes, or so says, "Plants of the East Mojave." I had previously, and erroneously, identified this (above) as desert lupine. Nope. It's not. It's astragulus layneae - layne locoweed - makes the cattle cray-cray when they eat it. But it's SO pretty and it grows on our property.